How do I find the right Commercial buildings insurance ? No matter what industry your business is in, there’s a good chance that you operate from a physical building for your day-to-day work. Even if you do not directly trade from a specific premises, you may rely on buildings – such as a stock warehouse – in order to function. Because the bricks-and-mortar of a business building can be so integral to its ability to make money, it’s important to protect it against the risks that it may be exposed to. That’s where business buildings insurance can come in handy. What is business buildings insurance? Where you own the property, a commercial buildings insurance policy is typically a core part of a business insurance package, and can be beneficial for many companies to have in place. Business buildings insurance can provide protection against risks such as damage and theft, by helping to fund repairs or replacements. What does commercial buildings insurance cover? The assets that are included under buildings insurance cover are usually anything considered to be the main structure of the building. Sometimes, permanent fixtures and fittings, such as fitted kitchen cabinets can be included under protection. Generally, ‘peripheral aspects’ of your business – such as gates and fences – are not classed as part of the main structure of the building, and are therefore excluded from cover. It is worth checking with your insurance provider what is and isn’t included in your buildings insurance before taking it out. 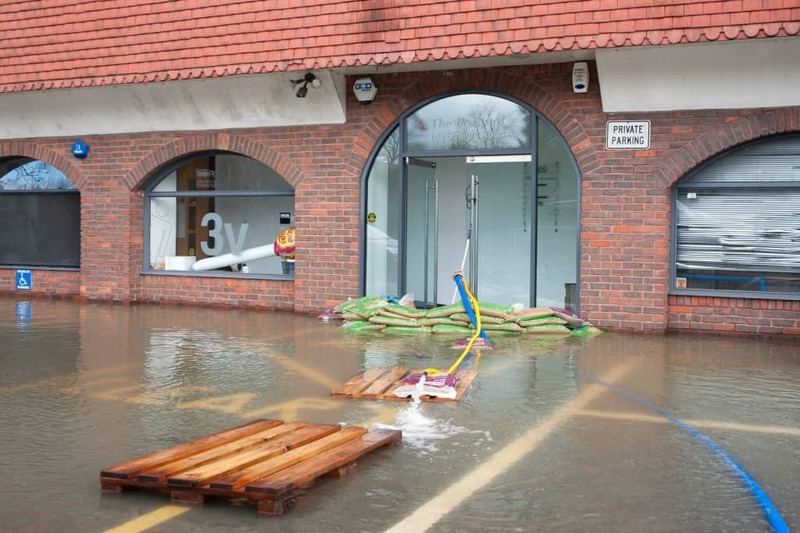 What does business buildings insurance protect against? Damage to fixed glass, such as windows and doors on your front of premises. The above is not an exhaustive list, and it’s possible that different insurers may offer entirely different extension options to you. It’s likely that there will also be a number of situations outlined in your policy in which your business buildings insurance may not provide protection. These situations will probably vary from policy to policy, but let’s take a look at some common examples. Fair wear and tear: This is not strictly considered damage in the eyes of insurers. This can sometimes include damage that could have been prevented, or that was caused over a period of time. For instance, smoke damage caused by regular use of a fireplace would not be covered under buildings insurance, but smoke damage from an unexpected kitchen fire probably would be. Vacant property: If your property is vacant for a certain period of time – which can vary between insurers – then your business buildings insurance may be invalidated. In order to ensure you are still protected in the situation where you standard policy doesn’t cover you, you would need to take out unoccupied property insurance. Poor workmanship: If damage is caused by a tradesman or your own DIY efforts, then generally, business buildings insurance will not cover you. Animals: Damage caused by animals is rarely included. This can include pets, if you have them on your premises, and also damage caused by insects or vermin. How much does buildings insurance cost? No two businesses are exactly the same – no matter how similar they may seem – and as such, their buildings insurance requirements will differ, too. Because of the scope for variation, it’s not really possible to provide an accurate quote for how much your cover will cost without a proper analysis of your business premises. To get a no obligation buildings insurance quote based on your business’s needs, give one of Make It Cheaper Financial Services’ experts a call on 0800 088 6958. As well as buildings insurance, we can help you to decide which other forms of cover may be beneficial to your business, and can build a bespoke insurance package around your business’s requirements. Call today. We’ve helped thousands of Britain’s business owners protect what’s important to them. Our UK-based agents will set up your policy to make life as easy for you as possible. We’ll always make sure you get the cover that’s right for you and your business – no unnecessary extras. You’ll get a personal account broker who’ll be on hand to help if you ever need to make a claim.